Constituents: scopoletin, bitter principle (viburnin), triterpenoid saponins, salicosides, resin, plant acids (including valeric acid), tannin, arbutin. Preparation Methods & Dosage :Tablets, tea, tincture. 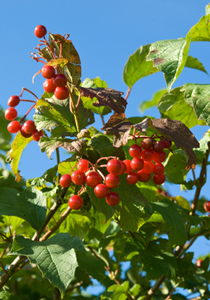 Viburnum can be mixed with other herbs such as ginger, motherwort and/or Valerian to relieve cramps. Cramp Bark Side Effects: Some evidence suggests cramp bark may aggravate tinnitus. Not recommended for use for those with kidney stones. Etymology: The red fruits bear some resemblance to the cranberry and are likely the source of the common name American cranberry bush. though of course, quite unrelated to the true Cranberry. Flowers/Fruit/Seeds: The flowers on the outside of the cluster are sometimes an inch in diameter, but those on the inside are smaller. The red fruits, which ripen rather late in the season and remain on the bush for some time, are roundish, sour and contain a round flat stone. 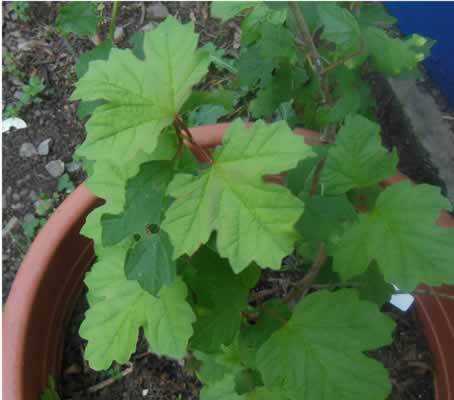 Leaves: 3-palmate lobes, broadly oval, coarsely toothed leaves coarsely toothed leaves are usually smooth on the upper surface, but with the veins on the lower surface somewhat hairy. Habit: grows from 8 to 10 feet high with branches generally erect and smooth. Flowering Season: Flowers appear in June, followed by red fruits. Distribution: Viburnum opulus L. var. americanum Aiton is native to North America. The highbush cranberry is on the threatened or endangered list in PA,OH, IN. (Sievers, A.F. "The Herb Hunters Guide") . Related Species Black haw, Viburnum prunifolium, is a white flowered shrub native to North American that grows up to 30 feet tall and is found in wooded areas and beside streams. 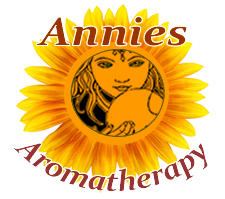 It is sometimes used in place of or in addition to crampbark. Crampbark has a long history of use by Native Americans for gynecologic problems. When threatened miscarriage is due to inappropriate uterine irritability, spasmolytic herbs such as Jamaican dogwood (Piscidia erythrina) and crampbark (Viburnum opulus) may be useful, as may uterotonic herbs such as raspberry (Rubus idaeus) leaf and star grass (Aletris farinosa) root.